Donald Macleod focuses on Oliver Knussen's long-time friendship with Maurice Sendak, author and illustrator of the famous children's book Where the Wild Things Are. Orchestra: BBC Scottish S O. Conductor: Ryan Wigglesworth. Singer: Claire Booth. Performer: London Sinfonietta. Singer: Cynthia Buchan. Singer: Christopher Gillett. Singer: Rosemary Hardy. Singer: Stephen Richardson. Singer: Lisa Saffer. Singer: David Wilson‐Johnson. Conductor: Oliver Knussen. Singer: Lisa Saffer. Orchestra: London Sinfonietta. 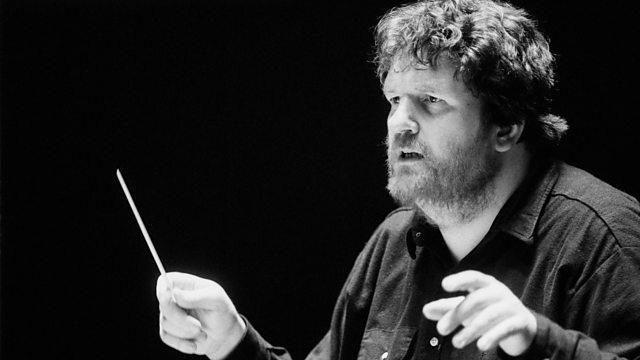 Conductor: Oliver Knussen.